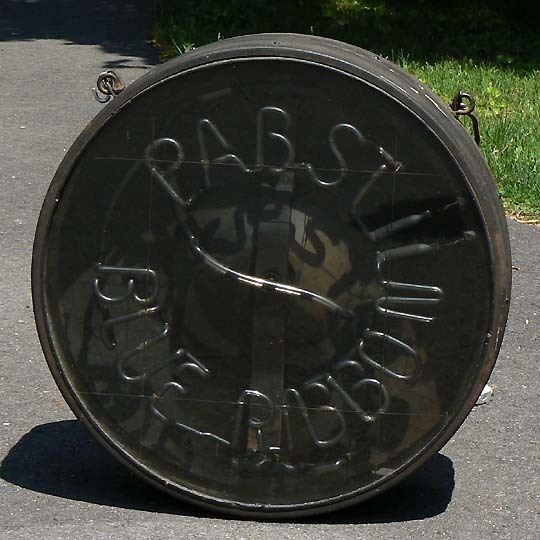 Darryl Tilden, the recognized name in the field of antiques and collectibles. You might be wondering- what makes him the best collector in the whole market? 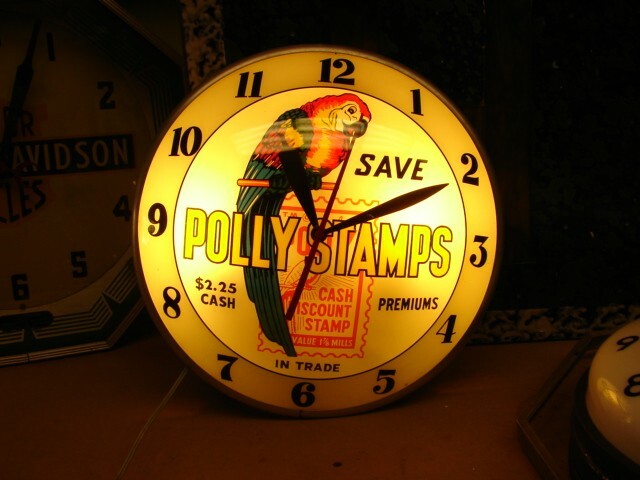 He is backed by a long 30 years of experience in the collectible and antique vintage & neon advertising clocks. 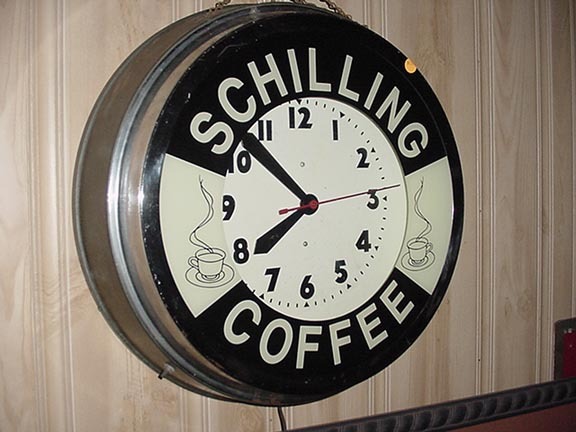 He owns an extensive collection of antique, vintage & neon advertising clocks. 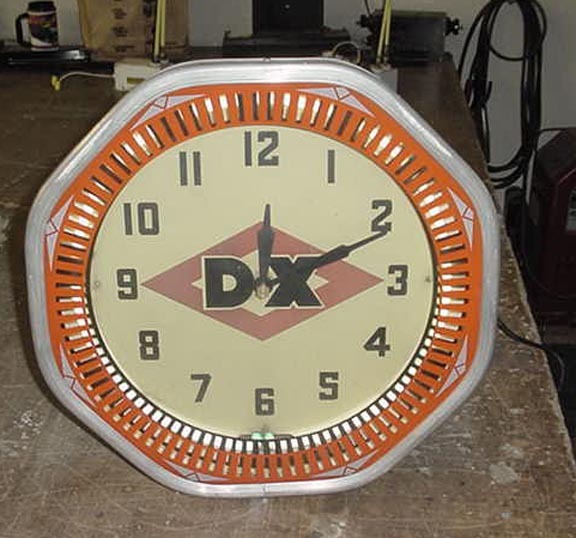 Well, you can find various antiques in the collection, however, Darryl imparts special emphasis on clocks. 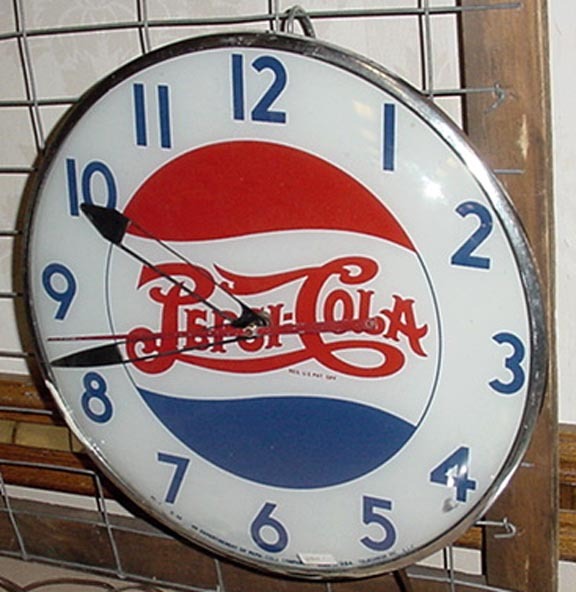 "We love clocks and have a huge collection, but fake sellers have captured the market selling counterfeit clocks. They use the new face combining the old machine and sell them plotting a misleading story. 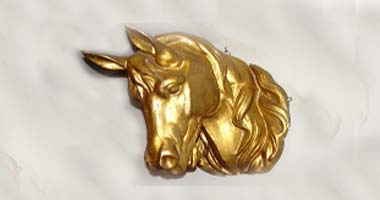 The fact is- most of the collectors in the market aren't capable enough to differentiate between the genuine and fake one." However, that's not the case with us. 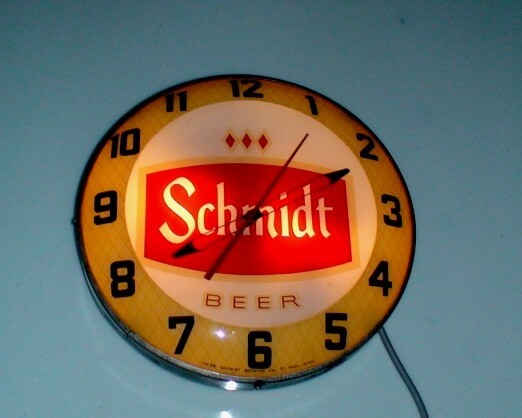 We are experts in this field and that makes us a good fit in terms of recognizing and selling genuine VINTAGE & NEON ADVERTISING CLOCKS. 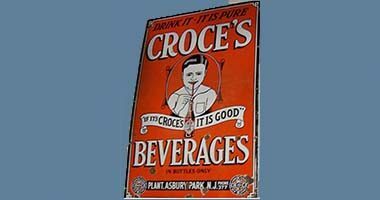 Not to mention, we possess a huge collection of clocks in the advertising clock book written by industry-renowned Michael Bruner. 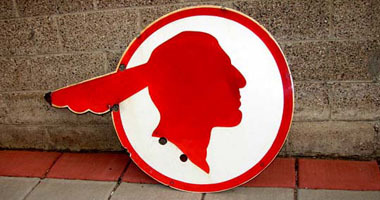 I use his book as a reference during my journey of selling, buying and collecting signs and clocks. 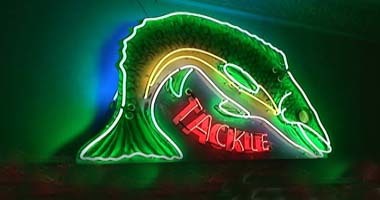 Neon Clock Sales, Neon Electric Corporation, Seth Thomas, Neon Action, Neon Display Products, Neon Clock Company of Los Angeles, Radio-TV Adv. 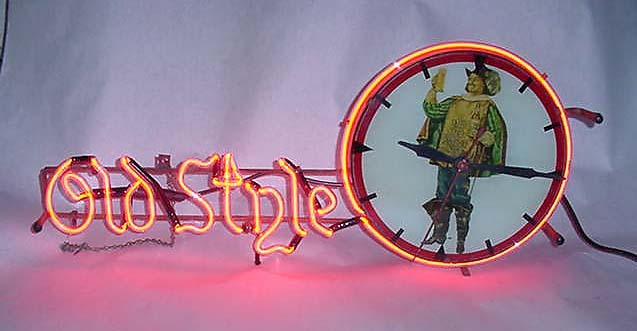 Inc., Prestyle, Rosemont Industries, Ray Neon Instrument, Taylor Thermometers, Seth Thomas. If you are a travel enthusiast and want to explore then we have a huge collection for you guys. 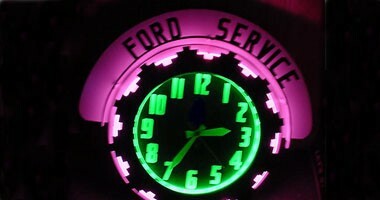 Signs like Neon products and martin Display clocks are a few of our collection. 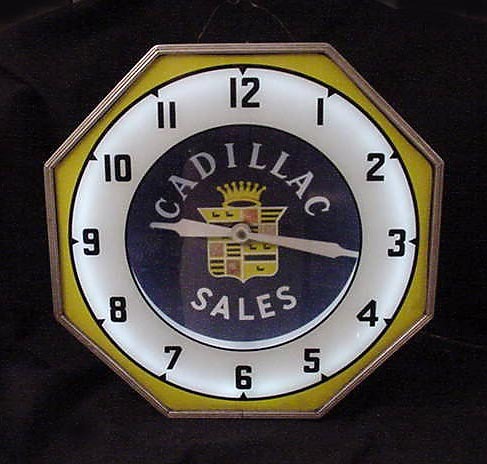 Signs of American, GE, Curtis, Imperial Ad, Hanssen, International, Everlite, Electric Ad Clock page, neon gallery page are available with us. We keep updating our website regularly. 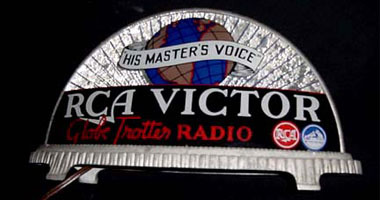 So that the viewers and followers keep themselves updated with our latest offerings. 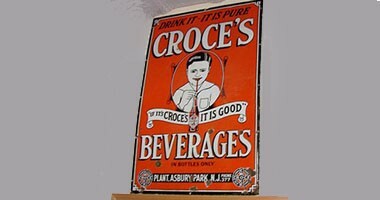 Other signs in our collection include Food/Beverages, Radio/TV Stations, Auto Companies to name a few. 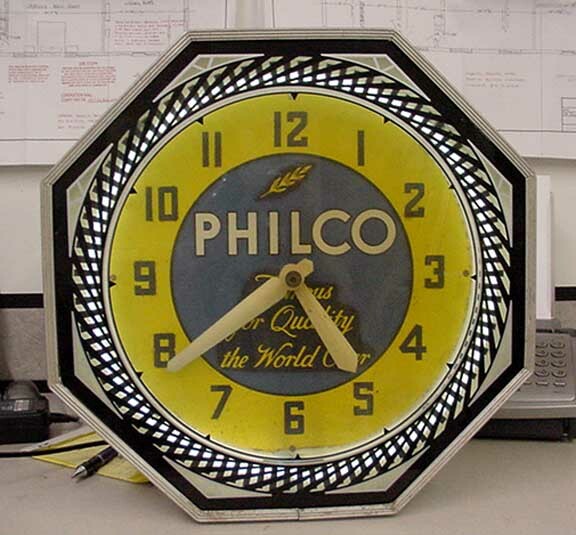 If you are confused, let us tell you one thing- Vintage Advertising Neon Clocks. 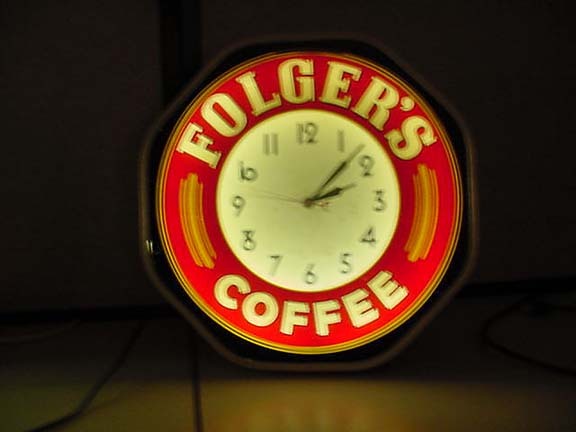 Consequently, we have vintage advertising neon clocks for selling and collecting. The main attraction is nice night light and a great work of art. 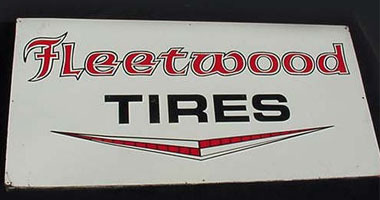 They are capable enough to advertise every type of product available. 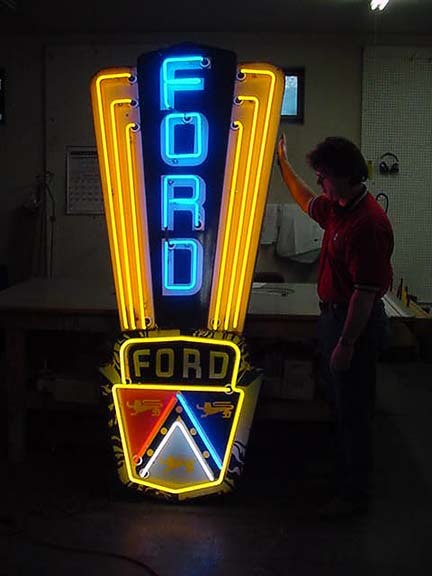 So, basically, signs of clothing, cigars, Radio, Beer, Soda, Automobiles, Shoes, cigarettes, tires, television, radio, vintage advertising neon clocks etc., are available with us. 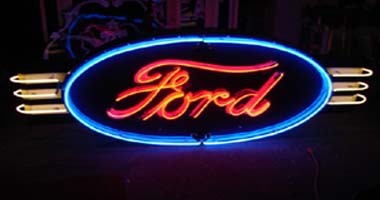 If you are a motor enthusiast, then our collection have signs of buses, trains, Motorcycles, Automobiles, and Gas stations. 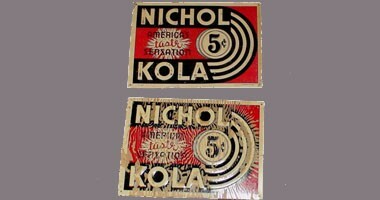 Other than this, we have Stamp, coffee & tea products, pawn shops, Gas & Oil, Jewellery in our collection. Not to mention, our list is not limited to these only. 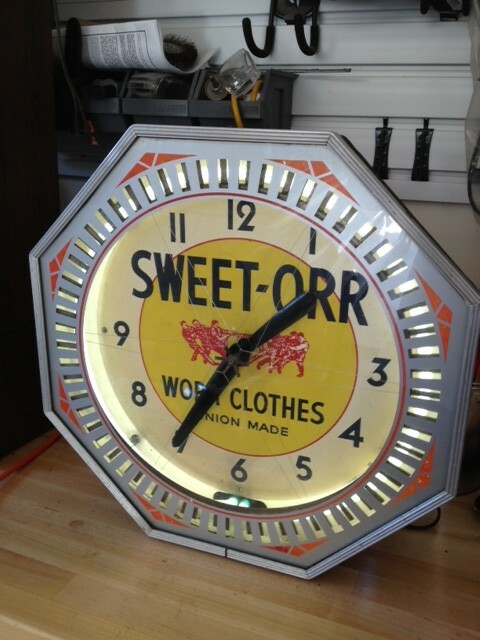 We have accumulated a massive collection of vintage clocks including vintage neon & advertising clocks, vintage time neon clocks are also a part of our collection.